Have you ever been lost literally or figuratively? If you have, you are not alone. Do you remember 20 to 25 years ago, what it was like getting to an unknown destination before the convenience of our indispensable, Global Positioning System (GPS)? Better yet, think back of a time when MapQuest, Waze or Google Maps wasn’t around. How did we get anywhere? For those of us directionally challenged, the availability of GPS systems has been a real life saver. Think about the magic of it — you can enter an address from anywhere in the world and in a matter of seconds you know the entire route. If that’s not magic, I don’t know what is. Would you believe me if I told you that similar to the GPS in our cars and cell phones, we also have a navigation system built into us? I call this amazing technology, The Universe Guidance System, or “TUGS” for short. We’re all born with TUGS and it’s free to use and universally available to anyone. What is TUGS and how do you use it? Great questions. I’ll explain it by comparing TUGS to a GPS since you are familiar with it. Both technologies are used for destination purposes. Unlike GPS, the TUGS technology doesn’t require any hardware. TUGS is inside of you and available at all times. For a GPS system to work, you need to know the address of the destination. TUGS never requires a location, address or destination. TUGS knows automatically where you need to go. No matter where you are in the world, no matter what stage of life you are in or what circumstance you are facing, it knows your destination. Even before you start driving, the GPS system gives you a preview of your entire route. You know every turn you’ need to make, every exit you need to take, and the amount of time it will take to reach your destination. TUGS gives you no overview. With TUGS you know one step at a time and it does not tell you how long it will take to reach your destination. In case you miss a turn, the GPS system re-calibrates and gives you an updated overview of your route and the new time adjustment to your destination. Similarly, if you take the wrong turn to your destination, TUGS will recalibrate and provide you with another route, but it will not provide you with an update on timing to your destination. The GPS system is satellite dependent and is inaccessible when the signal is blocked. TUGS is faith dependent and designed by its creator with a brilliant algorithm that increases its efficiency with usage. The more you trust TUGS’ one-step-at-a-time directional overview, the quicker it reveals the next step to your destiny. Similarly, the more you doubt it and override it, the longer your destination will take. So how did I find out about TUGS? Three years ago, I lost all direction in my life. I was tired of feeling disoriented and that’s when a wonderful spiritual teacher told me that I was only lost because I wanted to be lost. “That’s not nice, why would I want to be lost on purpose!” I said to myself. But I listened. My guide revealed that the Universe is in constant communication with each of us. 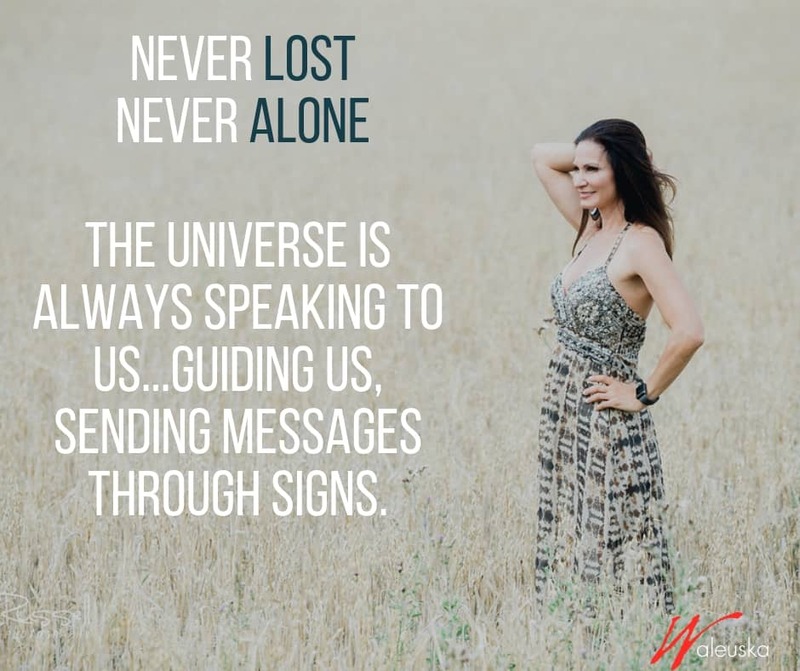 The Universe is always guiding us through signs, directing our path through a built-in guidance system that acts similarly to the GPS in our cars. Those words hit me with hurricane-force. My guide was right! I had forgotten one simple and powerful thing: my ability to ask the Universe for help. I, as well as each of you, have a birthright to divine guidance, and all I needed to do was activate it. At that time in my life, I was so lost that I had nothing to lose so I tried it. In that moment, I made the decision to activate my built-in TUGS and trusted the Universe to guide my path and my life and I have not looked back. Yes, at first, it was uncomfortable and scary because I had to step into the unknown. I was too accustomed to my Waze and Google Map apps that gave the entire route overview of my destination even before I started it. We humans like to know everything in advance and not knowing makes us uncomfortable. But I understood that TUGS’ algorithm is fueled strictly by faith. Each time I felt the urge to turn back or find a different, quicker path then than one I was presented with, I forced myself to stay on course. There were times I found myself talking out loud fighting with TUGS, asking it why it insisted on taking me into a direction that seemed much more convoluted when I had heard that the other path was shorter, brighter and smoother. But since I had made a commitment of faith, I overrode my complaining and I followed. Slowly I began to trust TUGS. I looked for the signs. I began to be receptive to hearing the messages and let me tell you, the signs were everywhere. Today, I can tell you with certainty that I have finally found my life’s path and this would not have been possible, had I not activated my TUGS. I found out later that the road I was so insistent on following, had dangerous narrow curves, unpaved bumpy stretches, poorly lit areas that led to dark dead ends. But of course, there was no way for me to know any of that because we cannot see the entire path ahead. Only the Universe can! The direction I thought was going to lead me to a life of bliss, resulted into a deadly cliff and the Universe so gracefully tried all she could to alert me to stop and follow her direction. I am happy I finally did! Today, no matter how dark and confusing my road may seem at times, I fear nothing because my TUGS is fully activated —I trust that the Universe knows the best path to get me home. If your TUGS recalibrates and presents you with a route path that you had not previously considered, take it! You may not know where the road leads, but the Universe knows what is in your best interest. The Universe knows every curve, every obstacle, every cliff, every dead end and all the delays on the road ahead. You may not go where you had originally intended to go, but trust me, you will end where you need to be. Don’t derail from your TUGS’ path even if you are tempted. Don’t take the shortcuts like I did so many times before. You may think that taking a certain path is better because it will get you to your desired destiny sooner, but let me tell you — there are no shortcuts in life. You may get away with it for a while, but sooner or later you will have to pay the toll. So do yourself a favor, from one happy and satisfied user to another, activate your TUGS. Trust the Universe. She’ll get you home! I love the GPS allegory. I have a memory, from a NDE or pre birth memory as a baby – about the Divine Maternal Nature of God (In the Catholic tradition, Queen of Angels). I saw life kind of like a maze, and with free will the dark side or “evil” could try to trip up those working for good, but Mary, or the Queen of Angels, was always one step ahead, and by the time you got to that point in your life your path would always be redirected towards truth, which was always beautiful and joyful and amazing. Truth by nature, is always the real shortest distance between two points, and where we want to be, like a God who was always with us, all along. Much love Waleuska. Love this page! Sounds very much like the advice in Michael Singers book that I’m reading… The Surrender Experiment. So how do we know what the signs mean, for instance if they’re repeating numbers or certain songs, I never understand the call to action or direction as to what to do..? Any insight? We are on the same page I have internal guiding system that I listen to. As well as the external signs which pop up everywhere it’s such lovely feeling to be divinely helped unconditionally. I feel loved and embraced by this intelligence. Much love to and wishing you continual health and success. This could have not come at a more appropriate moment. Thank you for sharing.